As part of our ongoing commitment to safety, Regson purchased some 3M welding/ grinding helmets with built in respiratory protection. 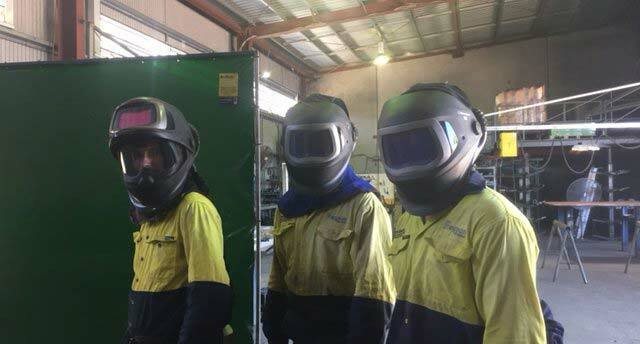 These helmets filter and blow clean air around the head and keep the worker protected from potentially inhaling dangerous particles and fumes. Queensland has been experiencing some sweltering conditions and it looks like the mercury is set to stay high throughout February. Our teams feedback about the helmets performance have been very positive. All workers agree that the conditions under the helmet are cool and comfortable. With recent safety concerns about heat stroke and dehydration, Regson feels confident it has controlled the risk to workers.